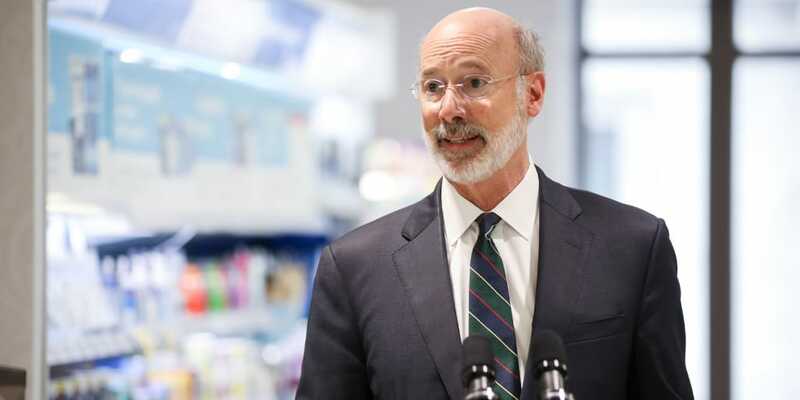 Harrisburg, PA – Governor Tom Wolf today joined representatives from Walgreens and its partners to outline his administration’s efforts in the fight against the opioid epidemic, including the success of drug take-back boxes. Governor Wolf first signed a 90-day opioid epidemic disaster declaration in 2018, and the sixth renewal on March 20, so Pennsylvania could put the resources and expertise together to make a concerted effort to battle the epidemic. Today, there are 16 state agencies and many organizations partnering to fight the epidemic from all fronts. The opioid and heroin crisis has hit Pennsylvania hard. According to the CDC, in 2015, more than 3,300 Pennsylvanians died from drug overdoses. There were more than 4,600 overdose deaths in 2016, and more than 5,300 in 2017. Efforts that include getting more people into treatment, providing the lifesaving overdose reversal drug naloxone and funding 45 Centers of Excellence for substance use disorder treatment in communities across the state are all making a difference. The expansion of the drug take-back box program is also helping, Wolf said. The governor was joined at Walgreens by representatives of AmerisourceBergen, Independence Blue Cross and Pfizer, partners with Walgreens in the drugstore chains’ safe medication disposal kiosks. Walgreens has the kiosks at 14 Pennsylvania locations, including its flagship store at 1 South Broad Street where the event was held. In total, Walgreens has nearly 1,000 disposal kiosks across the country and has collected and disposed of more than 275 tons of prescription medications since the program began in 2016. The chain plans to expand the kiosks with help from its partners. Find a take-back box location for the disposal of prescription drugs in Pennsylvania here. Learn more about how the Wolf Administration is battling the opioid epidemic here.